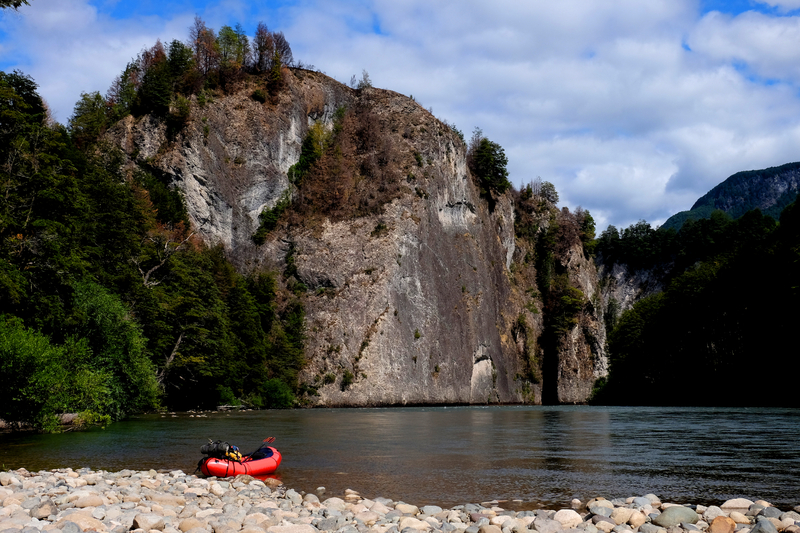 Since I couldn’t find any proper source with some basic information around packrafting the Palena, I intend to close this gap with this post. Within the packrafting scene, several people already did the Palena but solid information that is public and accessible in a centralized way is still missing. 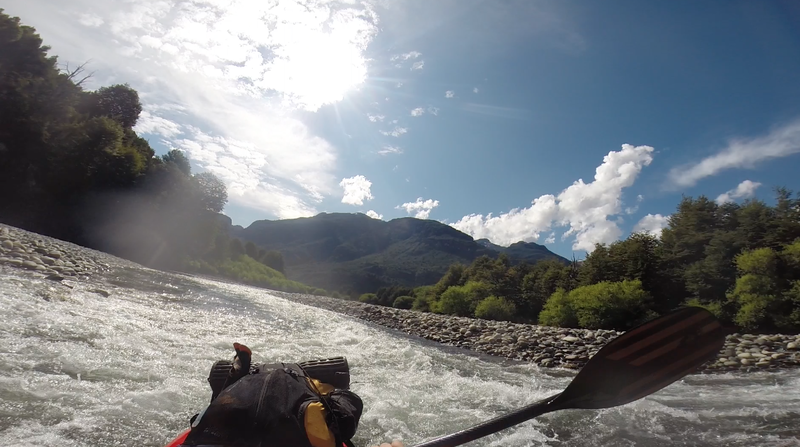 I consider the Rio Palena to be a perfect river for beginners in case the river has the right level of water (go in summer, not in winter), you don’t go alone, you carry the appropriate equipment and finally you scout rapids before you take them. However, there are no rapids that are extremely dangerous or complicated. All rapids had a reasonable easy run-out (date: February 2016) – the biggest problems represent turns of the river that have overhanging trees and plants in which you could get tangled up. 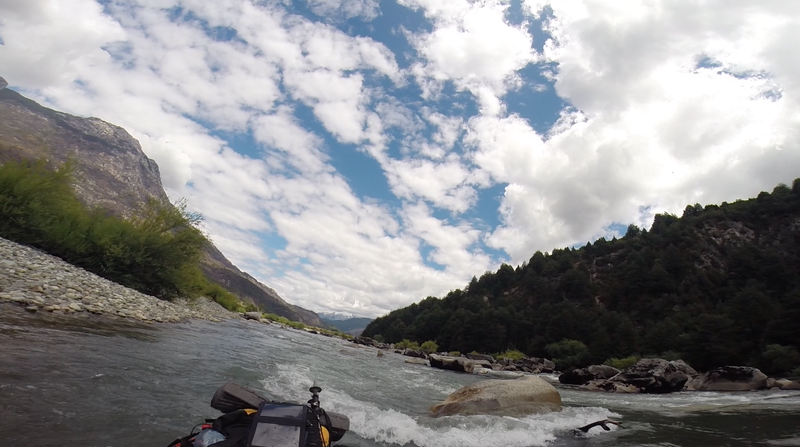 And yes – some rapids could easily flip you and your raft however all of them could be circumvented. Caution: All information is based on the water level as of February 2016 – there is high possibility that the river changes in the future and hence, the rapids & complicated points will change as well. Date: early February 2016 – trip in total lasted a little bit more than 1 week including getting there & away, relax days etc. 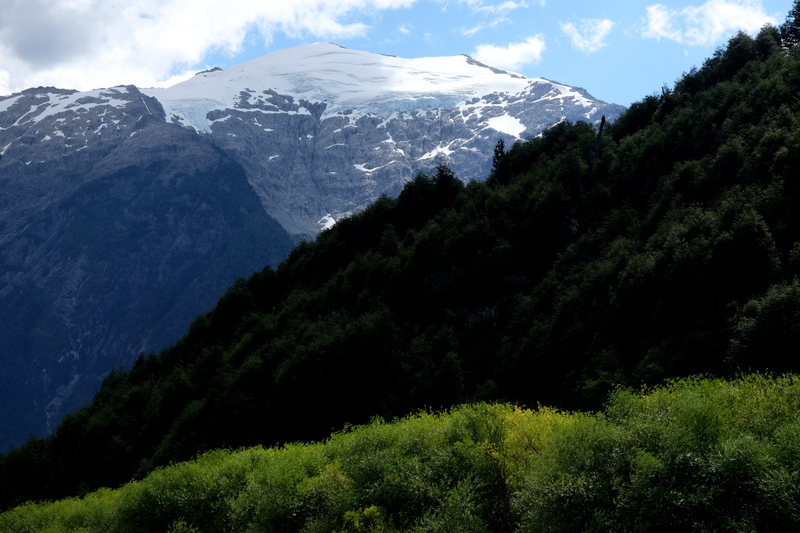 The best source so far to get basic information around the Palena can be found on the websites of “The Greater Patagonian Trail” maintained by Jan Dudeck. Jan did an excellent job with maintaining a huge amount of information about this great trail challenge down in South America that you definitively should have a look at. His page is also the source where you get the basic GPS coordinates in form of the file “GPT21P.kmz“. I will refer to this file further down again. 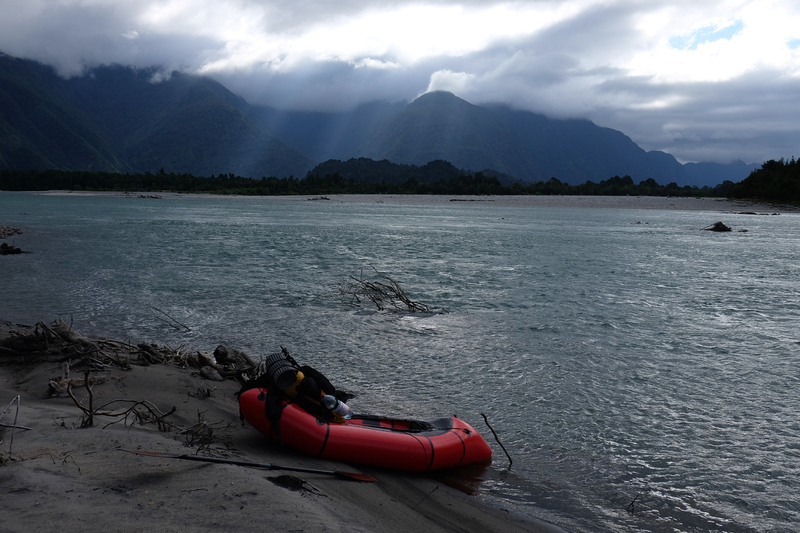 Packrafting from the Palena Bridge until the Pacific (Raul Marin Balmaceda) will take you between 5-6 days depending on water level, wind and, closer to the Pacific, tides. Be aware that Jan’s file will only provide GPS coordinates until the town of La Junta – but you cannot miss the way afterwards. 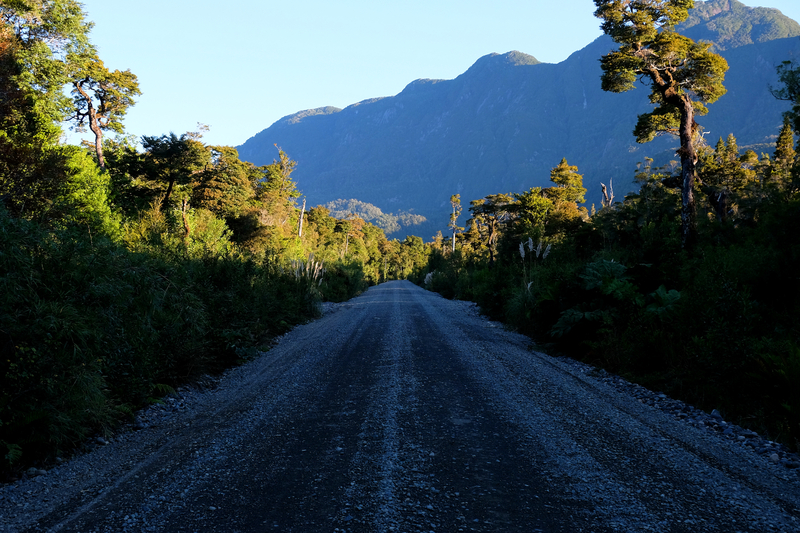 Jan is working on an update right now for this specific section of the Greater Patagonian Trail. I recommend beforehand to mark specific places where you can get out of the river just in case you intend to leave the river earlier as planned (see difficulties & challenges below) e.g. -43.92256, -72.8071 is an excellent place to do so. The reason for this is: Even though the river runs partially very close to the X-12 gravel road, the river is mostly surrounded by deep jungle which is pretty difficult to cross for even just a few meters. In the file are several coordinates called “settler” – these GPS points are specifically useful in order to find the right place to camp / no to camp. Jan also marked some “rapids” in the file – I recommend to use this information as a baseline, but since the rapids on the Palena change depending on the season, water level etc. you need to keep your eyes open. I walked the last 30 kms to the Pacific due to strong head winds / tides. The ferry is free of charge – but only open from 8.30am to approx. 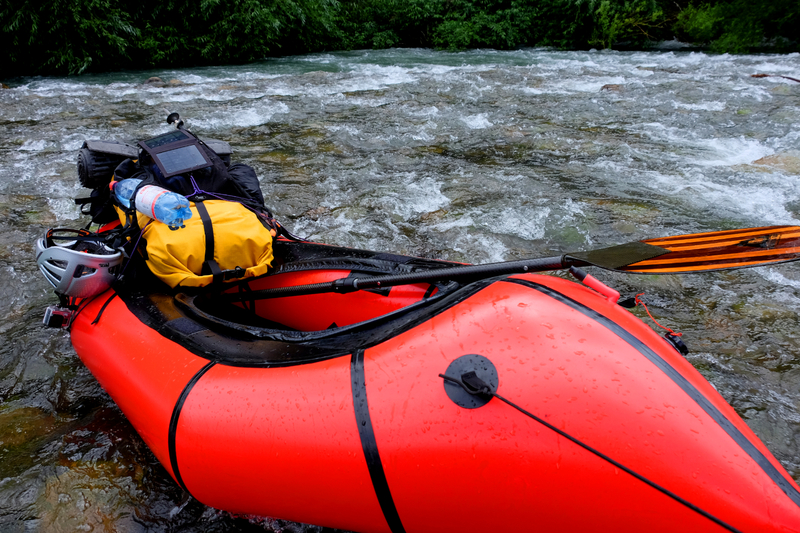 19.00pm – use your Packraft to cross the river afterhours. On busy days plenty of tourists will use the gravel road X-12 so it should be easy to hitch-hike. 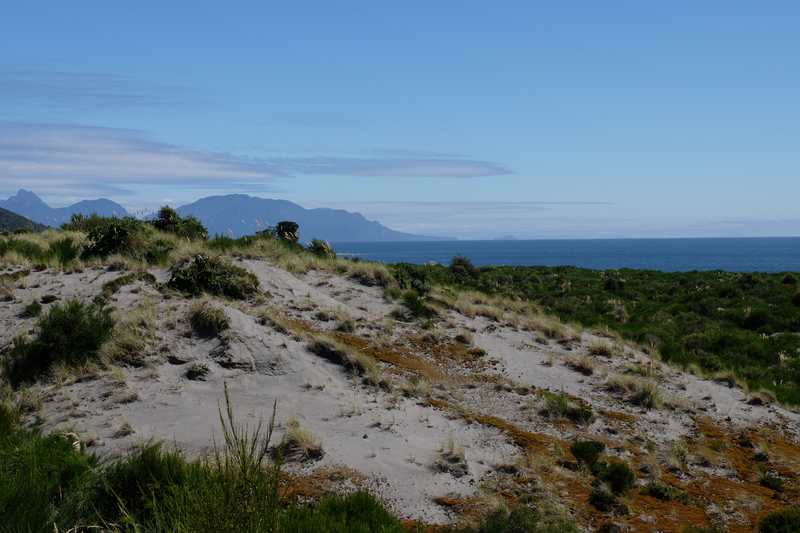 In Raul Marin Balmaceda, you can find basic hotels, electricity from 7am to 1am and a lovely short hike to the Pacific Ocean Beach. 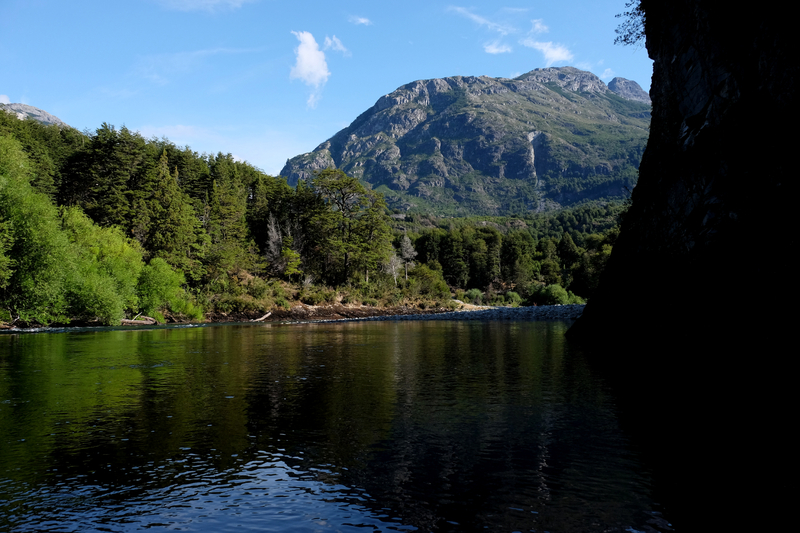 The Greater Patagonian Trail Section 11 to 27 is to my opinion the “Packrafting Paradise” in Patagonia that is reasonable save to paddle with a packraft. Section 1 to 18 are already published, section 19 to 27 will be published in the next 6 months. 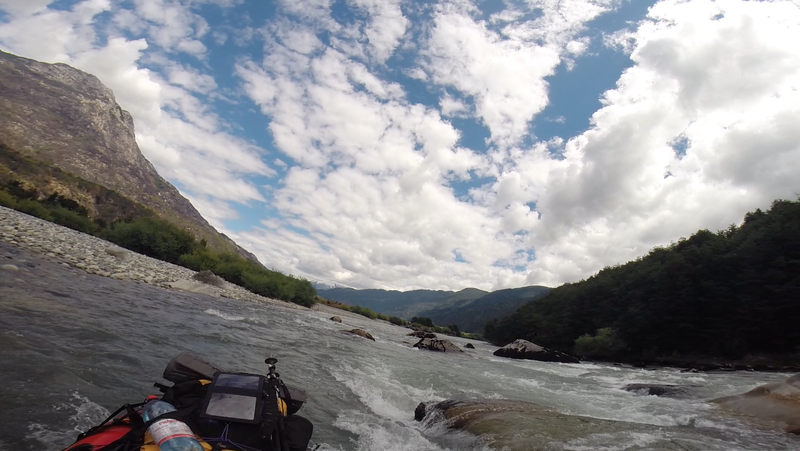 Sections 1 to 10 of the Greater Patagonian Trail are best hiked without packraft. When venturing into the fjords with a packraft be aware that sudden weather changes, powerful wind, strong tidal currents can bring you unexpectedly into dangerous situations. The limited escape and camp options along the coat of the fjords (very dense vegetation and a steep rocky terrain) may make it very difficult to seek safe ground in such conditions. To my opinion a packraft has a too low hull speed and is too wind-sensible to safely venture into the fjords. The fjords are more suitable for sea kayak expeditions. On a nice day packrafting seams perfectly feasible but a weather change can put you in a very dangerous situation if you are in a packraft. 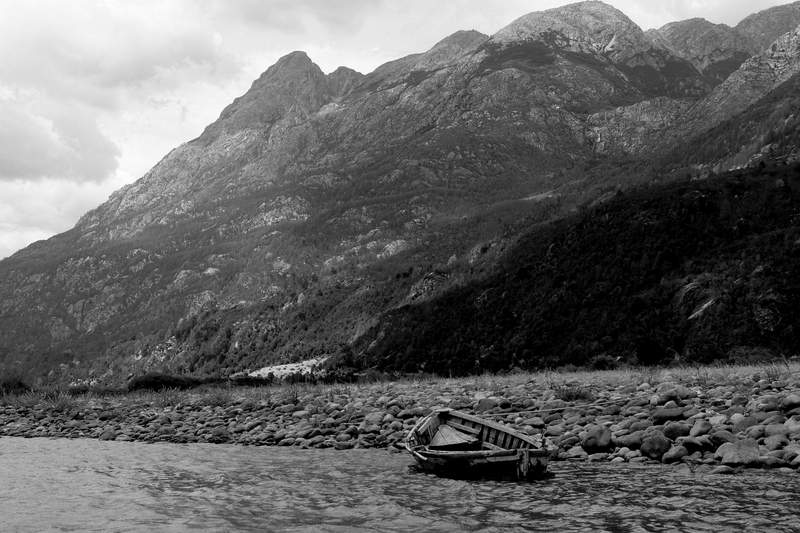 Some rapids have the strength to flip your boat – however, they can be circumvented. Take care of trees / plants in turns of the river in which you could get tangled up. On the last 30-40 kms to the Pacific you can face strong head winds which could slow down progress or even make it impossible to keep on going. Be aware of the tides in the end which also impact your possibility to progress. Mark potential places to get out of the river beforehand – especially for the last section from La Junta to the Pacific. 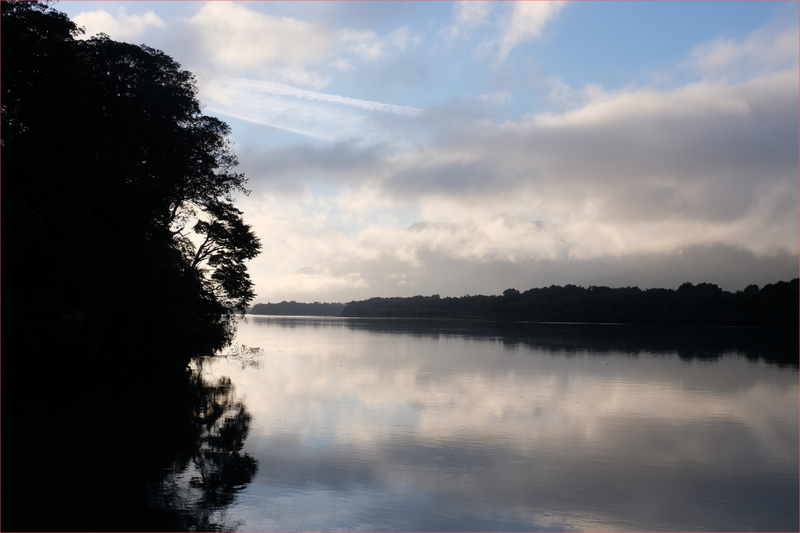 The alluvial trees you will see during the trip demonstrate the enormous power the river can have during the rain season. On the part from the ferry to downtown Raul Marin Balmaceda, locals informed me that a puma has been located several times. I hiked this part as well on my own, but I recommend to check with the guys from the ferry how the situation is before doing so (very helpful people). I met people doing extended hiking & packrafting trips in the Corcovado National Park north of Raul Marin Balmaceda. But you need to do your own research in regards to further possibilities there. 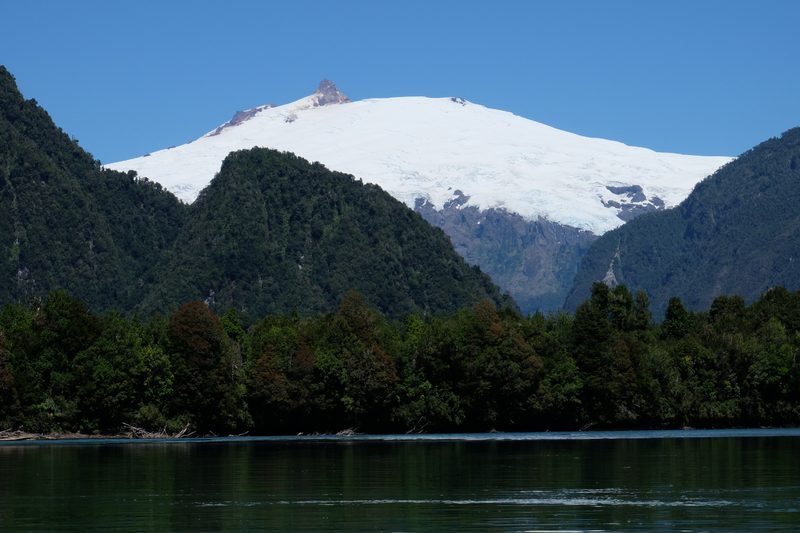 Take the ferry from Quellon to Puerto Chacabuco that runs twice per weeks (both ways two trips per week). If you go south you have a perfect finish because you have 24 hour fjord sightseeing tour at a very reasonable low cost.